Peace Women From Our Past now includes of oral histories of our peace sisters, excerpted from Judith Porter Adams, Peacework: Oral Histories of Women Peace Activists (Twayne Publishers, Boston: 1990). The page numbers are included in each entry. 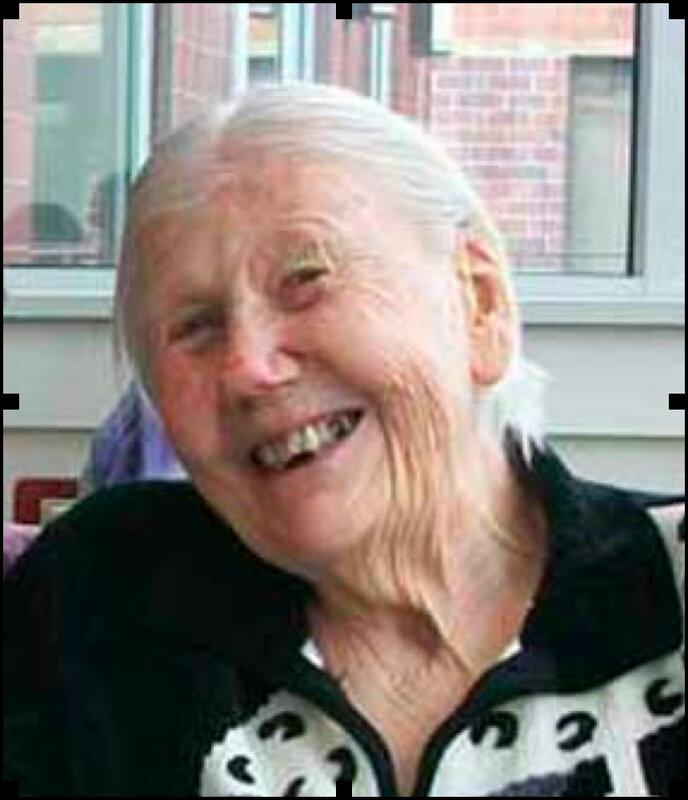 Currently, we are displaying oral histories of Elise Hansen Boulding, and Enola Maxwell. Check back regularly for new oral histories. I had a very strong feeling, from the earliest I can remember, that if there should ever be a war, I knew a way to be secure and safe, and that was to go and hide in the mountains of Norway…. [When] Norway was invaded…my dream of the safe, secure place…was shattered…. I came to realize that only way to have safety and security was to have it for the whole world and that led me to the peace movement. We were in no way an activist-oriented household, so I didn’t have sense of appropriate action…. The end of my first year out of college I joined the Friends Meeting and that gave me all kinds of avenues into peace action…. After Pearl Harbor my husband and I drew up a letter to our friends asking them not to support the war, that war was not going to solve the problems of the world. He had to resign from his position at the League of Nations because he had made a statement on a political matter, which officials were not allowed to do. We were practically thrown out of our Friends Meeting because they were not prepared to support our action…. I had joined WILPF during my homemaking period in the late fifties or early sixties. I became involved with a group of mothers who wanted their children to be pacifists. I had been involved in the YWCA and the League of Women Voters; neither of those organizations dealt with how you raised pacifists and WILPF did…. 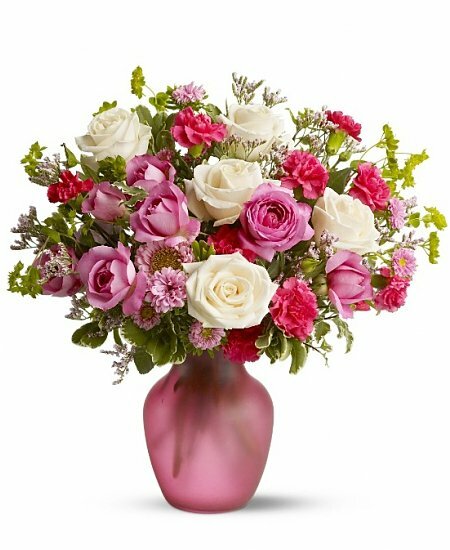 …I took very seriously the basic notion, which now looks like a very traditional notion, that women had something special to offer. I felt that women had a special responsibility for peace…. I began to appreciate WILPF members in a way that I hadn’t before because WILPF members had been there all along and they never got carried away by … narrow concerns.They were always looking at a broader picture of economic and social structures and opportunities for everyone. I felt there was an enormous difference in the human style of WILPF that seemed so much better than much of the women’s movement. I would hope that when the history of the women’s movement is written that what WILPF stood for comes out quite clearly. I think it’s very important the way WILPF has found a balance…. But Vietnam is what really pushed me into direct political activism, to get the United States to withdraw from Vietnam…. After the Vietnam War… something became clear to me that had not been clear to me before: most of the young people who came to the Vietnam movement were not pacifists…. I learned something from their view about oppression and victimization and the evils of the state that had not been part of my earlier view. But what saddened me was that many of them did not have a strong commitment to peacemaking and nonviolence…. I was beginning to teach peace studies here on campus and developed a program in answer to these concerns. The word empowerment wasn’t a word we used then, but I was trying to empower women by showing them that what they understood and the skills they built in the community and family work they did were relevant to making peace in the community at large and dealing with social problems. They knew more than they thought they knew, and they had skills in mediation and conflict resolution which men often didn’t have…. I always used WILPF as an example of how women worked for peace in the family, school, community, nation, and the international scene. WILPF was a model that I carried with me wherever I was…. My major mediation role has been between peace researchers and peace activists, each of whom think the other is failing to address the real needs of our time. Activists are impatient with looking at the long haul and evaluating implications of their actions…. Peace researchers have too little respect for the understanding of humans in action, which activists have; they underestimate the value of their intuitions and the significance of emotional focusing they provide. They are not interested in providing the nitty-gritty kinds of information activists need. My goal has been to initiate a dialogue between the action and research perspectives, allowing each to be teacher-learner in relation to the other. When I came to San Francisco I found that black people were looking for dignity and pride, but you know I had dignity and pride all my life…I grew up with it…. My grandmother, this woman couldn’t read and write her own name, but the pride and dignity she had! I didn’t understand all this at the time, but later I did…. Before we left Baton Rouge it was really a struggle keeping the freedom and keeping from this hate business.…But it wasn’t easy. We had not ridden public transportation much because my son, when he was about four years old, couldn’t sit where he wanted–you know, the back of the bus business. If Dr. King had done no more than bring us from the back of the bus, the man would have achieved true greatness…. I was not going to live in poverty. I told the Lord that something else had to be done because I refused to say Jesus Christ and God is my father and He is rich in powers and in land and I’m living in poverty. So I decided not to be poor, not to have the poverty mentality…. In 1967 I became a lay preacher and elder at the Olivette Presbyterian Church. 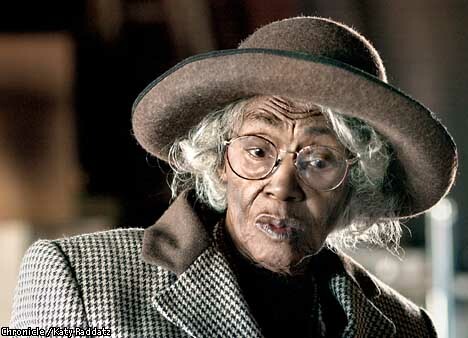 I was the second black woman elder, and our church was the only church that had women elders, period…. By that time the Presbyterians were quite involved in the civil rights movement…. I was living in a Haight Ashbury neighborhood in San Francisco where a lot of the peace people were. We went on the march in Washington in 1963 with Dr. King. Then Dr. King made his anti-Vietnam speech. Our church considered Dr. King to be a moral leader of the church. The seminaries supported him and went to Montgomery and built the tents for the march. My church sponsored me to Montgomery. I joined Women [Strike] for Peace and WILPF. We were doing the demonstrations against the Vietnam War and marches and leafletting. In my capacity as lay preacher I was doing draft counseling and counseling for conscientious objectors…. I’ve always been in groups that stood for nonviolence. I got elected as a spiritual advisor for the Black Panthers, and I thought that was really something. I was so proud of that that I didn’t know what to do. I got up and announced it right in the church…. Everybody, of course, was scared of the Panthers. I was going to their meetings, and I was encouraging them not to use violence. You can’t win with guns. I was a Martin Luther King person. …Let me say some things about women in peace groups… I like the sisterhood. …. So many times I see some young person trying to start some coalition or something, and they swear their ideas are new and have never been tried before. These women will just sit there and listen. I’ve learned a lot from them. They knew we tried that idea ten or fifteen years ago and it didn’t work, but it may work this time. They patiently teach that you need coalitions and need to work on more than one issue…. I value freedom and I value freedom more than anything else in the world. If the day comes when I can’t speak for freedom and justice, I’ve lived long enough. That’s all there is to it…. I’ll tell you what is so dear to me about all these good women who work for peace: it is that they have been there all of these years. They’re going to be there until they die. They never gave up. They never stopped. We lost a lot of women; they died and the peace movement didn’t. The peace movement goes on and on. 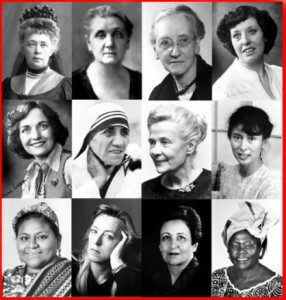 Nobody can say anything that has not been said by these women. Käthe Kollwitz’s artwork is subtle, but it is never simple. Upon close inspection, the viewer finds deep and chilling statements about the inhumanity of war and poverty. A progressive peacemaker, Kollwitz promoted nonviolence by weaving her political ideals and maternal experiences directly into her artwork. 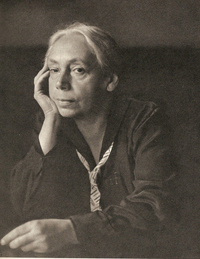 Käthe Kollwitz (née Schmidt) was born on July 8th, 1867, in Königsberg, East Prussia. In a society where girls were not encouraged to pursue any interests beyond being mothers and wives, Kollwitz had a rare upbringing. She started taking art lessons when she was 14 years old, finding that she was especially talented in etching, sculpture, and printmaking. Though it was unusual for a woman who did not have connections with the art world to pursue art as a career, her father saw her artistic talents and eagerly helped her develop her abilities. Kollwitz was particularly passionate about the idea of “woman as revolutionary” (Kearns 83). She was able to see the potential in women, just as her father was able to see the potential in her. Through her artistic depictions of women, she challenged the common notions of feminine beauty; her female subjects have strong bodies that are capable of endurance and physical labor. She emphasized their physical qualities while deemphasizing their sexuality, rejecting the ideals of women as sexual objects (Kearns 105). War was a prominent presence in Kollwitz’s life, as she lived during both World War I and World War II. In confronting these issues, her peacemaking efforts varied. During wartime, she remained more focused on addressing the immediate effects of violence. She promoted negative peace by putting her art aside in order to work as a cook and server for destitute women and children. Kollwitz felt that her art was secondary to the children’s urgent needs (Kearns 133). During periods of “peace,” in which no wars were occurring, citizens were still suffering from the aftereffects of war; Kollwitz promoted positive peace during these periods by creating posters and leaflets. The works, enhanced by her emotional depictions of the proletariat, protested against those who were profiting from postwar inflation (Lippard, x). Ultimately, Kollwitz wanted to see the end of war; without war, the proletariat, who were most affected by war, would suffer less. As a pacifist, she believed that a strict adherence to nonviolence was the only way to prevent war; she sought to transform the conflicts that surrounded her by promoting Pacifism through her artwork. Though she was always passionate about voicing her views through her artwork, she did not find her work’s true purpose until her son Peter died in combat during World War I. She saw no justification for Peter’s or any soldier’s death. Peter became her strongest inspiration; she became even more determined to use her artwork to promote peace. Kollwitz’s work unapologetically grabs the viewer’s attention with its dark and mesmerizing imagery, depicting the devastating realities of war and poverty. For example, one woodcut from her War series, The Parents, portraying a man and a woman grieving over the death of their child, is reflective of her own grief over Peter’s death (Kollwitz). Their faces are hidden from the viewer; the man covers his face with his hand as the woman collapses against him in despair. The obstruction of their faces suggests that they have lost their identities in succumbing to grief. Their black figures look darker against the lighter background, emphasizing that they are in a deep despair that isolates them from the world. Kollwitz’s messages were more accessible and ultimately more memorable for the viewers because they were enhanced by her haunting artwork. On the subject of her work, she once wrote, “I am content that my art should have purposes outside itself. I would like to exert influence in these times when human beings are so perplexed and in need of help” (Kearns 173). Käthe Kollwitz died on April 22, 1945. She displayed resilience in her final years, refusing to leave the country even when her home in Berlin was bombed (Kearns 223). In spite of the conflicts that surrounded her, Kollwitz remained hopeful about the future. Shortly before her death, she told her granddaughter, “One day, a new idea will arise and there will be an end to all wars. I die convinced of this. It will need much work, but it will be achieved” (Lippard, ix). Käthe Kollwitz’s artwork will surely continue to inspire those on the path to peace.- Carter Rice, Wellesley College. Crystal Eastman was a central actor in some of the most epochal social movements of the twentieth century – labor, feminism, civil rights, free speech, peace. 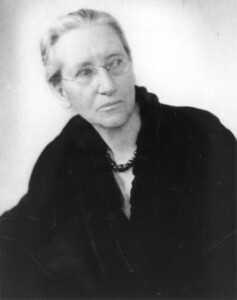 By the time she co-founded the Woman’s Peace Party, helping to recruit Jane Addams to head the national organization while she remained Executive Director of the New York branch, she had already written the nation’s first serious workers’ compensation law and helped to co-found the National Woman’s Party. After it, she joined with Lillian Wald and others to co-found the internationalist American Union Against Militarism (AUAM) and co-published the Liberator magazine. And in the interim, she coordinated the founding of the ACLU. Eastman was a policy innovator, an early media activist, an organizer, operative, executive and exceptional voice in the debates, both public and private, that shaped her world—and ours. Her work on industrial accidents in 1910 shifted the legal logic from liability only in cases of employer negligence toward a more collective, no-fault distribution of risk and loss shared by workers, businesses and consumers. It eventually became a model around the country. She was the first person to join with Alice Paul and Lucy Burns to launch what would become the National Woman’s Party; in December, 1912, it was Eastman and Burns, friends since Vassar, who approached the National American Woman Suffrage Association to propose a Congressional Committee to pursue a federal amendment. As the U.S. marched toward the Great War, the AUAM and WPPNY rallied gender, class and race arguments against the military build-up and innovated new strategies for shaping public opinion and government policy toward international cooperation beginning with a negotiated peace. After the Espionage Act effectively silenced The Masses magazine, edited by her brother Max Eastman, she joined with him in 1918 to co-publish its successor, the Liberator, whose reach would exceed its better-known predecessor; the magazine achieved 60,000 in circulation within its first year and brought out work by Sherwood Anderson, Amy Lowell, William Carlos Williams, Djuana Barnes, Jean Toomer, e.e. cummings, Claude McKay, John Dos Passos, Edmund Wilson, Carl Sandburg – voices that came to define the post-war literature of the American left. Eastman was also a vanguard voice in the politics of private life. Divorced in 1916, she refused alimony, living her belief in absolute equality between the sexes. As a speaker for the National Birth Control League, she added an unorthodox argument to the prevailing mix by advocates – women’s desire. “Feminists are not nuns,” she declared in 1918. “And we want our love to be joyous and free – not clouded with ignorance and fear.” Later, she proposed a “National Motherhood Endowment,” a federal fund to remunerate women for their maternal service to the nation. Eastman was inducted into the National Women’s Hall of Fame in 2000. In 1922, Balch issued a call to women of all countries to reach beyond national allegiances and develop a new human identity. She declared the emergence of a new generation of women, writing: “Lovers of our own lands, we are citizens of the world, conscious partakers in the sacrament of all human life” (“Our Call,” Bulletin of WILPF, February 1922). On a personal level, she embraced a global identity, recording, “Deeply and happily I feel myself a citizen of the world. I am at home wherever there are people” (“The Earth is My Home”). Balch’s personal and public declarations of global citizenship were the product of a lifetime of learning the necessity of cooperation across borders and nationalistic loyalties. As a social reformer on local, national and international levels, Balch came to understand the need to stress human similarities over national differences. Over the course of Balch’s life, through her professional work and scholarly writings, she continually advanced the concept of global citizenship as the path to peace. This idea remained a constant driving force in her life and is a central element of her legacy. Kristen E. Gwinn, Emily Greene Balch: The Long Road to Internationalism (University of Illinois Press, December 2010). Mercedes Randall, Improper Bostonian: Emily Greene Balch, Nobel Peace Laureate, 1946 (Twayne Publishers, 1964). Monica McWilliams has been a driving force in the approaches to peace in Northern Ireland. She is most widely known for co-founding the Northern Ireland Women’s Coalition in 1998, and spending her life fighting for women’s inclusion in peacemaking processes. McWilliams was born on April 28, 1954 to a Catholic family in Kilrea, County Londonderry in Northern Ireland. Growing up during “the Troubles,” she was subjected to violence and oppression by nationalist paramilitary forces. McWilliams also witnessed firsthand the poor treatment of women in Northern Ireland, and this had a particularly strong impact on her. It is likely that her dedication to ending domestic violence and helping female victims was spawned by what she saw as a child. 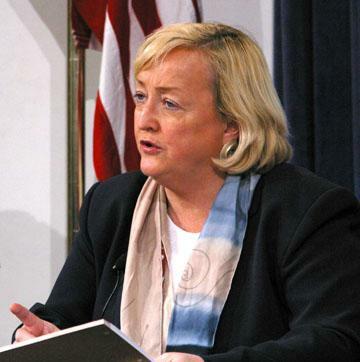 Monica McWilliams’s had previously worked foremost as a politician. After the publication of the Framework Document by the British and Irish governments in 1995, she organized a conference designed to pull together women’s reactions to the plan laid out in that work. The attendees all agreed that women must be included in the peace and policy-making process. McWilliams brought the idea of a women’s coalition to the British government, simply to see if they would accept the group as a political party. They obliged her proposal, and McWilliams registered the women under the name “Northern Ireland Women’s Coalition,” or NIWC. The women were able to gain enough support to win two seats in ensuing Peace Talks, held by the British and Irish governments. McWilliams identified sectarian views as the systemic force driving the conflict in Northern Ireland, so the NIWC refused to take a unionist or nationalist opinion. Rather, they chose to remain nonpartisan and made a commitment only to the restoration of peace, equality, human rights, and the inclusion of women in the process. The party included members who identified with both groups and used this to their advantage in human rights campaigns, showing that an independent approach was possible. McWilliams emphasized dialogue within her party and at the negotiating table. Her philosophy was that communication between opposing sides must occur in order to better understand the conflict. She also pushed the continuation of dialogue between opposing actors even after agreements had been reached. Because of her willingness to abandon unionist and nationalist labels, she recognized the importance of integrating communities and schools. She stressed integration as a means of promoting positive peace at the community level. Educating Catholic and Protestant children together would promote religious tolerance and understanding, which was, in her view, at the heart of Northern Ireland’s conflict. McWilliams is committed to nonviolence, and therefore stresses the decommissioning of weapons. She poses a unique argument for this: women are living in an armed patriarchy, and weapons could be used for domestic violence, not just combat. She sees violence in the household as one of the underlying causes of the disempowerment of women; their voices were suppressed in a more systemic way due to the cultural acceptance of domestic violence. Though Monica McWilliams and the Northern Ireland Women’s Coalition met with success in the end, they went through quite a struggle to earn respect from other parties. McWilliams herself is a respected woman with a trustworthy, nonpartisan reputation, but when she came to the table with a feminist platform, she was not well received by the male-dominated group. She endured sexual harassment on a regular basis; the men would boo as she spoke, insulting her and other party members, and refer to her as a dog and a cow. The women of the NIWC quickly learned that they needed to work much harder than any other party in order to prove themselves and gain respect. McWilliams and the others rose to the occasion, working efficiently and always arriving to meetings prepared. They were soon recognized as the only party to consistently do its assignments, and the men began to see merit in their negotiating skills. NIWC’s success at the peace table showed the British and Irish governments that women must not be overlooked in the peace process, for their input is vital to the complete transformation of conflict. – Emily L. Gell, Wellesley College. Note: this biography is borrowed from the Peacewomen web site. See the original biography by clicking here. Madeleine qualified as a lawyer in 1990 and became a partner in a large law firm in the UK in 1994 specializing in discrimination law, particularly in the area of employment, and public and administrative law and she did work on behalf of both the Commission for Racial Equality and the Equal Opportunities Commission mainly on developing strategies to establish rights under domestic law through the identification of test cases to be brought before the courts. Madeleine brought cases both to the European Court of Human Rights and The European Court in Luxembourg. She was cited as one of the leading lawyers in the field of discrimination in the Chambers directory of British lawyers. In 1998 she began working for the Office of the High Commissioner for Human Rights as the gender expert and Head of Office in Bosnia and Herzegovina. In that capacity she worked extensively on the rule of law, gender and post conflict, transitional justice and the protection of social and economic rights. The Office in Bosnia was the first to take a case of rendition to Guantanamo before a court. The OHCHR office dealt extensively with the issue of trafficking and Madeleine was a member of the expert coordination group of the trafficking task force of the Stability Pact, thence the Alliance against Trafficking. 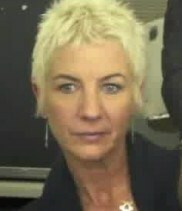 From September 2006 to April 2010 she was the head of the Women`s rights and gender unit. For the Office of the High Commissioner for Human Rights, focusing on using law to describe the different experiences of men and women, particularly post conflict. The aim was to better understand and interpret the concept of Security using human rights law as complementary to humanitarian law and how to make the human rights machinery more responsive and therefore more effective from a gender perspective. Note: this biography is borrowed from a fantastic web site, the Nobel Women’s Initiative. See the original biography by clicking here. “Dr. Wangari Muta Maathai was awarded the Nobel Peace Prize in 2004 for her actions to promote sustainable development, democracy and peace. She is the first African woman to receive the Nobel Peace Prize. The first woman in East and Central Africa to earn a doctorate degree, Prof. Maathai was an active member of the National Council of Women of Kenya from 1976 to 1987 and served as its chairman from 1981 to 1987. In 1976 she introduced the idea of community-based tree planting. She continued to develop this idea into a broad-based grassroots organization whose main focus is poverty reduction and environmental conservation through tree planting. The organization eventually became known as the Green Belt Movement (GBM), and to-date has assisted women in planting more than 40 million trees on community lands including farms, schools and church compounds. In December 2002, Prof. Maathai was elected to Kenya’s parliament with an overwhelming 98 percent of the vote. Until 2007, she represented the Tetu constituency, Nyeri district in central Kenya (her home region). From 2003 to 2007 Prof. Maathai served as Assistant Minister for Environment and Natural Resources in Kenya’s ninth parliament. In September 1998, Prof. Maathai launched and become co-chair of the Jubilee 2000 Africa Campaign, which advocates for canceling the debts of poor African countries. Her recent campaign against land grabbing (illegal appropriation of public lands by developers) and the rapacious re-allocation of forest land has received much attention in Kenya and the region. In June of 2008 the Congo Basin Forest Fund was launched. The fund protects the forests of the Congo Basin by supporting projects that make the forest worth more as a living resource, than it would be cut down. Prof. Maathai acts as co-chair and goodwill ambassador for the initiative. Prof. Maathai has addressed the United Nations on several occasions and spoke on behalf of women at special sessions of the General Assembly for the five-year review of the 1992 Earth Summit. In March 2005, she was elected as the first president of the African Union’s Economic, Social and Cultural Council. This web site is a component of the Advancing Women as Peacemakers Project (AWP) of the U.S. Section of the Women’s International League for Peace and Freedom (WILPF), and is dedicated to providing sound historical information relating to Jane Addams and the history of American women and peace from her time through the adoption of United Nations Security Resolution 1325 in 2000. A core commitment of the AWP is to “educate the public about the history of women peacemakers.” This web site was born from this concept. Scholars, students, teachers, and activists can utilize this web site to learn where to find primary source information about the history of women as peacemakers (see Links). This site also highlights new scholarship on Jane Addams, American women and peace, and SCR 1325 (see our discussion forum). It further showcases original content, such as Louise W. Knight’s comprehensive chronology of Jane Addams’s life, and an historical chart that demonstrates the continuity themes between the WILPF’s 1915 and 1919 resolutions and those concerns articulated in SCR 1325. This web site was developed and is maintained by a committee of historians, all of whom belong to the JA1325 working group. This committee agreed with the concept that there was a need to develop a space on the internet dedicated to providing accurate historical information about the history of women and peace work, from Jane Addams to the present. The committee of historians stands behind the information displayed on these pages. We hope it is useful to scholars and activists alike. We are all continuing to build on the legacy of peace history in the United States and internationally. Keeping informed current peace work, as well as understanding our peace heritage, is critical. Those individuals who serve on the Committee of Historians are listed below. For more information about this committee or to contribute to this website, please contact our web manager. of these WOMEN of ACTION through this Tribute. Filed Under: WOMEN of ACTION™, WOMEN of HISTORY Tagged With: A Celebration of Women, Crystal Eastman, Dr. Wangari Muta Maathai, Elise Hansen Boulding, Emily Greene Balch, Enola Maxwell, High Commissioner for Human Rights, Käthe Kollwitz, Madeleine Rees, Monica McWilliams, Peace, Peacekeepers in History, Take Action, The Challenge for Africa, Wangari Maathai, WOMEN of ACTION™, women taking action, women.